Our guide to New York will help you find the best kid friendly parks in New York New York. What's trendy in New York this week may well be gone by the time you get here, be it an exhibit, bistro, shop, or celebrity. You'll never see it all -- we won't in a lifetime. But do leave time to enjoy our top attraction: people -- en masse, and of all kinds. Here the tapestry is fully unrolled. The city that never sleeps? Don't worry--you'll rest easy with New York hotel deals near Times Square, Central Park, Broadway, and beyond. Get ready for taxi-cab adventures and soaring skyscrapers, and start spreading the news. There are tons of great kid friendly parks in the city of New York, our city guide will help you find the best kid friendly parks. You may have a hard time deciding what to do in New York, but we make your decision easy. , (212) 593-0750 - Capobianco Field is a kid friendly park located in New York NY. 337 Riverside Dr, (212) 870-3070 - Riverside Park Sandbox Playground is a kid friendly park located in New York NY. 42 1 Ave - Robert Moses Playground is a kid friendly park located in New York NY. 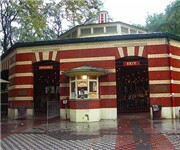 67 Mulberry St, (212) 408-0100 - Columbus Park is a kid friendly park located in New York NY. Amsterdam Ave & W 100th St, (212) 316-3241 - Frederick Douglass Playground is a kid friendly park located in New York NY. Ave C Fdr Dr - Murphy Park is a kid friendly park located in New York NY. 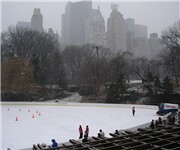 110 Malcolm X Blvd, (212) 534-7639 - For a more intimate New York City ice skating experience, visit Lasker Skating Rink. 95 Franklin St, (212) 965-9717 - Playgarden's 4,000 square foot Indoor Playground. 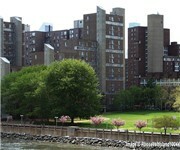 10th Ave & W 22nd St, (029) 295-8100 - Clement Clark Moore Park (Seal Park) is a kid friendly located in New York NY. 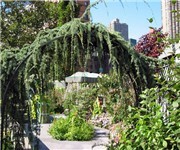 400 E 34th St, (212) 263-6037 - One of NY's best-kept secrets, the Rusk Rehabilitation Institute harbors a public botanical garden just right for little ones. There are plenty more kid friendly parks in New York. 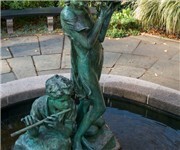 See all kid friendly parks in New York New York.